5-In-1 Compass Survival Tool | BUDK.com - Knives & Swords At The Lowest Prices! 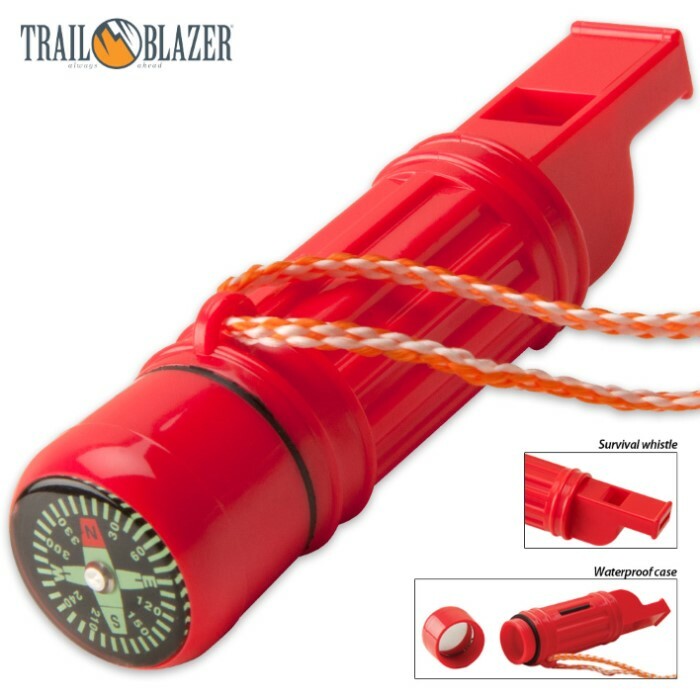 Don't brave the wild without this 5-In-1 Compass Survival Tool! It has five survival tools right at your fingertips in one compact package. 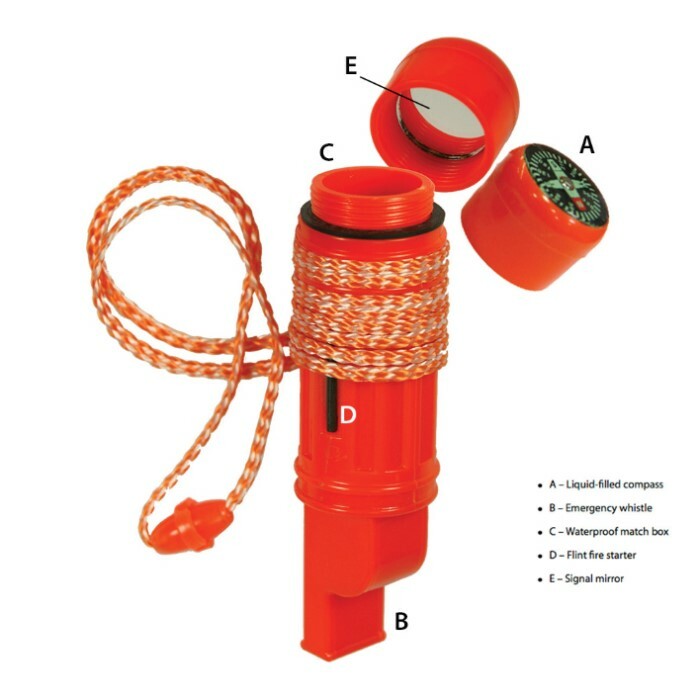 This piece has a signal whistle, signal mirror, compass, flint, and a waterproof match container. It also includes a nylon neck lanyard for convenient carry. 5 STARS. Takes the abuse, water tight storage..The whistle pea rattles but there is plenty of items making more noise than this when i am trying to be quiet. Great Little item. Will be in pack at all times.